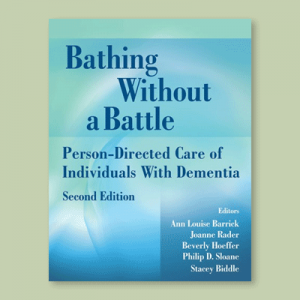 This book is a resource for caregivers of people with Alzheimer’s disease or a related dementia, who provide support for a variety of medical conditions and dementia-related behaviors. 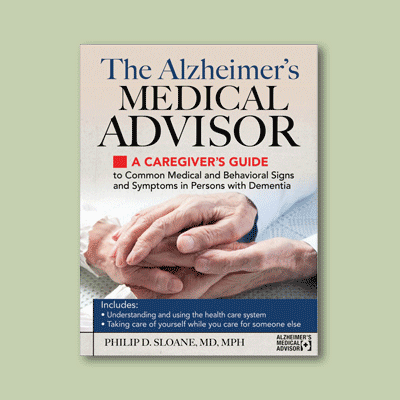 It contains information on more than 50 medical and behavioral conditions that caregivers often address. 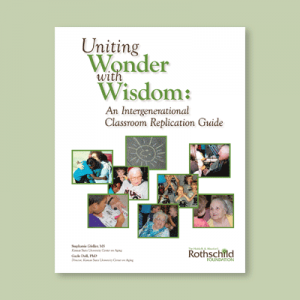 Each condition is presented in an easy-to-follow, two-page guide that provides basic facts; signs that indicate a possible emergency; practical guidance when conferring with health care professionals; and tips on providing relief in the home. Additional sections address how to best manage visits to medical offices, emergency departments, hospitals, nursing homes, and assisted living residences. 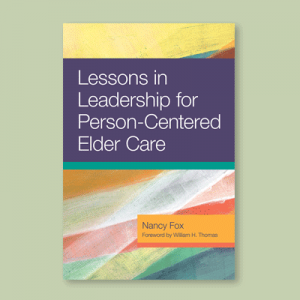 Also, an entire chapter is devoted to how caregivers can take care of their own health and safety while helping someone with Alzheimer’s disease or a related dementia. 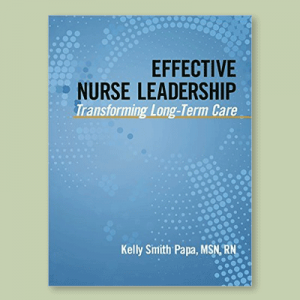 Written by experts from the University of North Carolina at Chapel Hill and Duke University, this book is based on the latest clinical knowledge and scientific research. Philip Sloane, MD, MPH, the Elizabeth and Oscar Goodwin Distinguished Professor of Family Medicine at the University of North Carolina at Chapel Hill (UNC-CH), is a geriatrician with over 35 years of experience managing and researching issues related to older persons, with a focus on Alzheimer’s disease and related cognitive disorders and those who assist them with care and services. Among his many awards are the Academic Award from the National Institute on Aging and the Pioneer Award from the national office of the Alzheimer’s Association. He has authored over 300 publications, including 18 books, co-founded the Carolina Alzheimer’s Network, and co-directs the Program on Aging, Disability, and Long-Term Care at the Cecil G. Sheps Center for Health Services Research at UNC-CH.